Tell us about Fuze and the products/services you offer? In the last few years, technology has completely upended the traditional ways people think about how they work and what work means to them. The rise of mobile means that people are no longer tethered to the office, and they’re empowered to take greater ownership of their workplace experience. That, combined with multiple generations in the workforce, each with their own unique preferences, has resulted in a rising trend of disparate tools and systems, in order to accommodate a diverse range of employee needs. Fuze is a global, cloud-based workplace collaboration platform that brings together voice, video, messaging, and content sharing into a single, unified application. The unique interface encourages enterprise productivity, enhances workplace collaboration regardless of location, and delivers a high level of quality, reliability, security, and analytics to its users. The Fuze platform provides a reliable, scalable, and secure solution to end confusing and disconnected user experiences. Employees are able to easily communicate, collaborate, and gain insights which can further power long-term productivity. How are your clients benefiting from working with Fuze? Aside from enabling greater productivity, Fuze is helping bring workplace collaboration into the 21st century. According to Gartner , many employee-facing applications deliver a poor UX when compared to consumer applications. Too often, employees grow frustrated with company-provided interfaces, resulting in employee dissatisfaction and reduced application ROI. On average, people have to toggle back and forth between four to six communication tools daily, leading them to default to using the communication applications that they’ve become accustomed to in their personal lives. Fuze was specifically designed to reflect that consumer-friendly UX, to support adoption and reduce the level of shadow IT within an organization. Furthermore, many of our clients use the transition from traditional on-premises communications infrastructure to the cloud as a gateway to larger digital transformation initiatives. Learning how to embrace the cloud and how it can support future growth in a digital economy is critical, especially as we head further down the path of technological permeation. What do you believe will be the most notable change in the office in the next decade? Given the continued rise of remote work, there are some who believe that businesses will eventually forego the office space all together. In fact, research from Fuze found that 86 percent of employees still believe that face-to-face interaction will always be important. With this in mind, I believe it’s not the office that will change in the next decade, but rather the workday itself. Employees today want flexibility, which can mean a number of different things – from specific days set aside for remote working, to logging off for a few hours for chores or family obligations then logging back on later – work is no longer defined by where it takes place. The next ten years will see the death of the traditional 9-5 work day, not the office itself. What do you think will be the biggest change in the workplace in the next 12 months? In the short term, businesses are prioritizing how they can give employees the technology they need to own their success. The standard toolkit just a few years ago included a desk phone, PC, calendars and other sorts of hardware. Today, employees just need a smart phone and internet access. As some organizations continue to catch up with the rate at which workplace technology evolves, across the board we’re going to see a new standard of tech that meets a few basic needs: flexibility and ease of use. What role do you believe AI can play in enabling smarter collaboration? Good news for us, over the course of the next few years we’re not looking at a situation in which the person on the other end of a chat window really isn’t a person at all. What we are going to see, however, is AI automating much of the processes that get in the way of seamless collaboration. A good example is meetings – I message a colleague to check in on the status of a project, to which they reply they’d like to set up a call to discuss in greater detail later that day. Artificial intelligence can pick up on those cues, and proactively book the time our calendars so we can get back to business. The main role here is that of virtual assistant, which has incredible potential to power new levels of productivity. How do companies need to change to keep up with the evolving workforce? The one thing that you don’t want to do is look at things like digital transformation needs as a box that needs to be checked off. The rate at which technology is advancing – it would be nearly impossible for a CIO to say “we did it, we’re done with digital transformation.” What needs to happen is a fundamental shift in mindset towards wider digital flexibility. Many IT leaders are focused on the move to the cloud or the adoption of next-gen tools like AI and machine learning, but what happens afterwards? We found that 75 percent of the App Generation (age 15-18) expects to be able to use the latest tools at work. With this, organizations need to be prepared for the technologies that haven’t even been invented yet, and that starts today, with ensuring that your digital infrastructure is prepared for real-time changes. What is the biggest challenge to successful UC implementation? The greatest barrier to entry tends to be getting comfortable with the new pace of business, particularly when it comes to the rapid-fire nature of cloud communications infrastructure compared to legacy systems. Employees, especially those who have been using the same technology for the length of their career, also have a tendency to resist change. 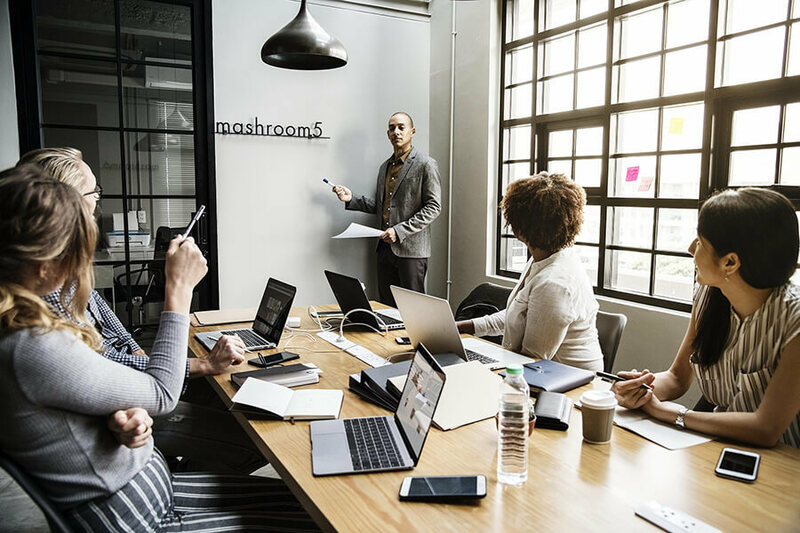 Promoting organizational education, led by the most senior leaders within the business, is critical to successful adoption and overall change. Helping employees understand how their experiences can be improve by UC is very important part of the process.